L.E.R. PR’s Fashion PR Team is excited to see the C.P. Company featured on Elle. 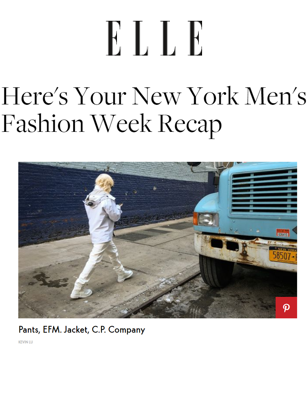 The brand’s signature goggle jacket was worn in a New York Men’s Fashion Week Recap.